Need More Clients For Your Accountancy Practice? Can you say for sure that you’ll never need to find new clients for your accountancy or bookkeeping practice? If so, click away now! You’re well aware that clients come and go for various reasons, so it’s important to keep your funnel, pipeline, or whatever you prefer to call it, topped up with new prospects. Are you taking advantage of the largest available online pool of clients? It’s called Facebook. Statistically speaking then, it’s safe to assume that a good percentage of your potential clients use Facebook on a regular basis. Your job is to get your message in front of them – and nowadays, that can be somewhat of a challenge. The answer isn’t to post a stream of “buy my stuff” updates, but I’m sure you knew that. At the start of 2018, Facebook made a major change to its newsfeed algorithm – that complicated bit of tech wrangling that controls what individual users see in their newsfeed. It’s impossible for facebook to show each user every single update from their friends, groups they’ve joined and business pages they’ve liked. There’s simply too much content on Facebook now – it has to be controlled, and Facebook chooses what we see based on our interactions, what we’ve liked, shared and engaged with. Mark Zuckerberg has said repeatedly that Facebook is all about friends, family, and the “user experience” – meaning that business updates are way down the priority list. Posts that get little engagement are downgraded – and “buy my stuff” posts nearly always get little engagement, so you get the picture. Facebook users aren’t on the platform to be sold to, they’re there primarily to interact with friends and family. Once you understand this, marketing effectively on Facebook becomes easier. I mentioned above that posts from business pages have a low priority in the newsfeed. That doesn’t mean you should abandon your page and start using your profile to promote the business (contravening Facebook’s terms and conditions). It’s important to post regularly on your page – at least 3-5 times per week, although the ideal frequency varies – do whatever works best for your business. Try Likealyzer – it’s a useful tool to check your page performance. Share a mix of updates – useful hints and tips, your blog posts (you do have a blog, don’t you? ), industry news, videos and images. No more than 20-30% should be directly promotional. 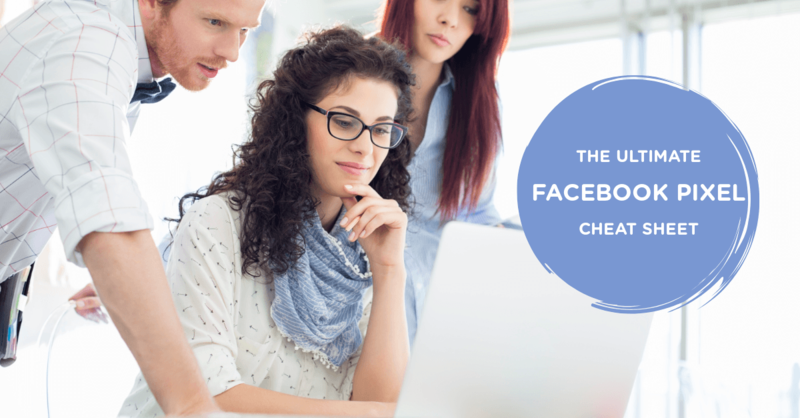 It’s unlikely most of your potential clients will discover you on Facebook without a bit of prompting. You can do plenty to maximise your organic reach by joining a few groups where those prospects are likely to hang out, joining in discussions, answering questions and showcasing your expertise (NOT by promoting your services, except when it’s permitted, or when someone asks you for details). Facebook groups have certainly been a valuable source of business for me over the past few years – I put a lot of time and effort into my group activity and this gets me results. But let’s cut to the chase. To get in front of more of your ideal prospects on Facebook, you need to run ads. Facebook Ads, while not as simple and cheap as they were a few years ago, are still the most cost-effective form on online advertising, and the targeting options are mind-blowing. Having said that, it’s by no means simply a matter of throwing an ad up and expecting clients to fall over themselves in the rush to work with you. You need a strategy and an understanding of Facebook users’ behaviour. We’ve previously mentioned that Facebook is all about friends, family and the user experience. What that means is that people are on Facebook to relax, interact and have fun. They don’t want to see a stream of blatantly promotional posts from businesses. They’re not actively looking for your services – this is in contrast to Google Ads, where you’d place an ad based on the search terms someone would use when they knew they needed an accountant – they’d be in buying mode at that stage. Facebook Ads are a longer game – you need to raise awareness and build trust through your ads – direct sales are difficult, especially for B2B / service businesses. In fact the process is similar to business networking. I’ve met many accountants at the networking groups I go to; networking often works very well for them if they attend consistently and regularly (consistent and regular are the keywords!). That’s fine if you only want to work with local people. Nowadays though, with the advent of cloud accounting, you aren’t limited by location, your clients can be anywhere in the country or even in the world. Let’s look at a few ideas for finding them. A video is usually a good starting point when targeting a cold audience (people who’ve never come across you). Create a short, eye-catching video (no more than 60 seconds) with one core message that focuses on a particular benefit to a potential client. Think about the questions that come up most frequently – what are your clients’ pain points, how would they feel if you could solve that one thing that keeps them awake at night? Remember, emotion is the primary trigger that drives us to buy. Here’s a whiteboard animation video I created recently for a management accountancy practice. Solving those pain points will most likely be along the lines of: freeing up time so they can concentrate on their work, not doing the books; taking away the untidy pile of paperwork and receipts cluttering their desk or van; removing the stress of navigating the HMRC website on 30th January. Get the idea? You are offering them better sleep, less worry and stress, and giving them back precious time to spend with family. All of these are powerful emotions and when your message resonates with someone, they’ll be far more likely to pick up the phone. Set Up Your Ad Campaign. Once you have your video, go into Facebook Ads manager and create a campaign with the Video Views objective. At the ad set level, choose your targeting – either local or national, perhaps with a couple of keywords such as “small business owners” and / or “self-employed”, or other keywords appropriate to the clients you want to work with. Save the audience so you can re-use it in future ad campaigns. Choose your budget (I usually recommend starting with £5 per day) and select the placements (where you want your ad to appear). Click “Publish” – this will take you to the ad level where you will upload your video, write the copy for your ad, add the URL of the web page you want to send viewers to, and select a Call to Action button (“Learn More” is often a good choice). You can preview the ad by scrolling through the various placements – when you’re happy with everything, click “Confirm” to start the review process. This can take anything from a few minutes to several hours – once your ad is approved, you’ll get a Facebook notification (and probably an email, depending on your settings) and the ad will start to run. Keep an eye on its performance in your Ads Manager dashboard – bear in mind you should leave a campaign for at least 48 hours to “settle” – don’t be tempted to tweak anything during this time. Here’s a fun animated video I recently created for a bookkeeper. Like I said before, Facebook Ads are a long game – there are no quick fixes. Once you’ve raised awareness of yourself / your business, start asking for a small commitment. Again, this involves some preparatory work, but even if you never run an ad again, doing this now will give you a valuable marketing asset. Your lead magnet could be a guide, checklist, cheat sheet, video series – almost anything, as long as it’s quick and easy to consume (just a few pages is ideal) and offers genuine value to a prospective client. Once you have this organised, you’ll need a landing page on your website with an optin form, to “sell” your lead magnet (making it clear why someone should bother to download). You can then use this as the basis of a new Facebook Ad campaign, sending traffic to the landing page and gaining new email subscribers (and website visitors for your custom audience) and boosting awareness further. The audience for this campaign could either be people who watched your video (if there were a good number) or a new audience with different interests / demographics to your first one. Are you inspired to get Facebook Ads working for your business? Most accounting services have a major digital component these days, so it makes sense that your digital marketing and advertising should keep pace. Done properly, Facebook Ads are an efficient, cost-effective route to gaining new clients and keeping engaged with current clients. Already tried ads? Let me know in the comments how they’ve worked for you! Your details will be stored in my email marketing software but will never be sold to third parties. For full information on how your data is processed, please see the Privacy Notice. 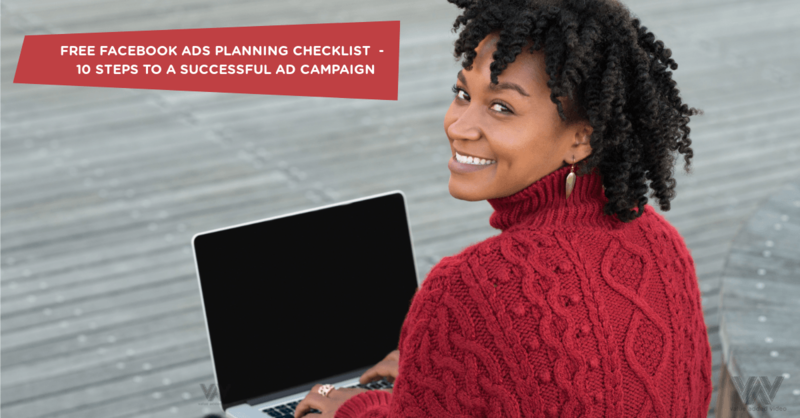 Thanks for requesting your Facebook Ads Checklist - it will arrive via email shortly. Will Blogging Help My Business?